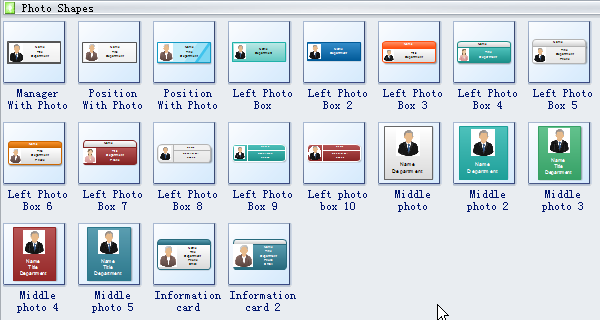 Edraw organizational chart includes plenty of photo shapes, manager with photo, position with photo, left photo box, middle photo, and information card. With these special photo shapes, your organizational chart will look more interesting and attractive. Information card is a kind card which records your personal information. Position card is a card designed for recording a position. 3D card is a card that appears to be three-dimensional as it is moved. Fixed card is a kind of card that can not be adjusted or changed. Choose Organizational Chart category under Available Templates. 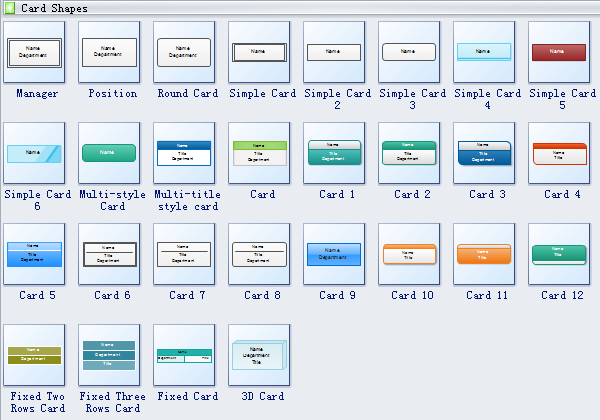 Double click the icon of Photo Organizational in the Templates window. 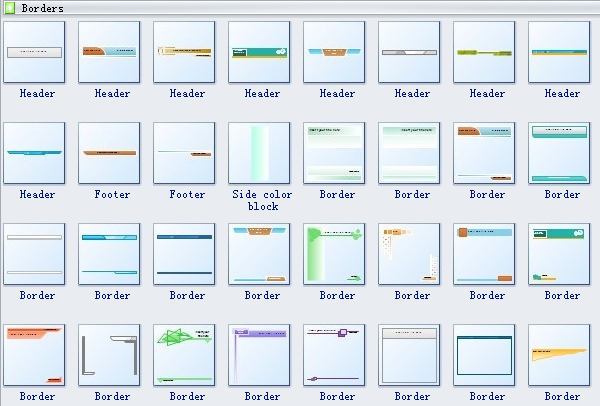 Three groups of shapes open along with Photo Shapes and a blank canvas, titled as Backgrounds, Borders and Card Shapes. If you don't need them, click the Close button to the right of each title. If you are drawing other kinds of diagrams and don't want to restart Edraw, you can open Photo shapes in another way. Scroll down to rest the cursor over the title: Organizational Chart to show its drop down menu. Drag the shape needed onto the canvas. The shape is selected by default with a dashed line surrounding the shape with green selection handles. Drag the handles at corner to adjust size while remaining the same aspect ratio. The handle dragged turns orange. Drag the left and right handles to change width. Drag the top and bottom handles to change height. Click the top right floating action button to hide or replace photo. Click the bottom action button to add subordinates. Need fresh looking photo organizational chart symbols for your design? These photo organizational chart symbols are a cinch to pop in. And their crisp, fine detail will make spectacular, easy-to-understand diagrams and presentations to your customers.